Nutrients are essential for survival! 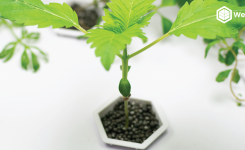 Just like humans need vital nutrients to survive, so do cannabis plants (GrowBots™ are another story, on the other hand 😜 ). 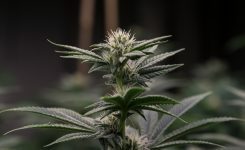 There are several kinds of important nutrients that the cannabis plant needs, including macronutrients and micronutrients. 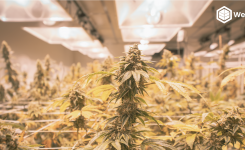 The pH-levels of your nutrient-water solution play an important role in keeping your cannabis plant healthy. 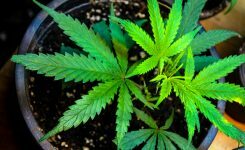 There are some significant signs that the cannabis plant is deficient in nutrients such as boron, copper, calcium, iron, magnesium, nitrogen, and zinc. If these things are happening to you, don’t fret, we have the answers! 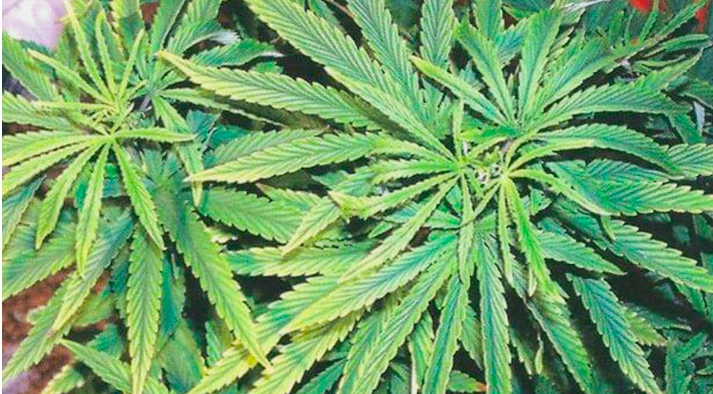 Cannabis requires three primary, or macro-nutrients, for optimal health. These are Nitrogen (N), Phosphorous (P), and Potassium (K), or N-P-K. All plant-food labels include the percentage of these three elements in numerical form, and are presented as N-P-K levels. Micronutrients are equally important, but only very tiny amounts are required and many, if not all, are readily available in potting soils without the need to add extra. If you are growing hydroponically, then these trace elements are found in most N-P-K solutions–isn’t that handy! These micronutrients, or trace-elements are: Calcium (Ca), Magnesium (Mg), Sulfur (S), Manganese (Mn), Boron (B), Zinc (Zn), Iron (Fe), Molybdenum (Mo), Chlorine (CL) and Copper (Cu). Nutrient deficiencies can be avoided by being attentive and careful with the pH level of your nutrient-water solution. The reason your plant is deficient of these nutrients is because they are not getting absorbed. Incorrect levels will lock out certain nutrients thus giving you adverse effects. If you are consistent in feeding your plants their nutrients, it’s probably that the pH is either too high or low and the plant is not absorbing them. Boron– The first sign of boron deficiency is abnormal or thick growth tips along with brown yellow spotting on new leaves. With a boron deficiency, the upper leaves will have slowed/abnormal growth. Boron is best absorbed at a lower pH ranges; when the pH is too high, your plant may not be absorbing the proper amount. The best way to solve boron deficiency is to make sure your pH level is constant. For hydroponic grows, that is 5.5-5.8. 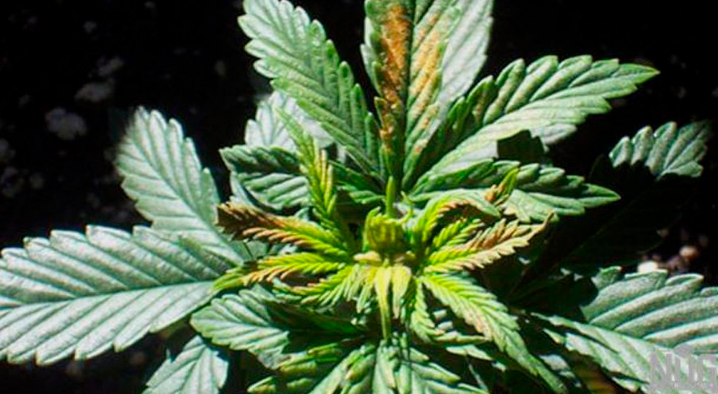 Copper- A copper deficiency can be identified when the leaves have dark blue or purple undertones, the tips and edges of the leaves have turned yellow, if the leaves are shiny, or if buds do not ripen or are growing very slowly. Copper deficiency happens when the pH is not correctly adjusted. Make sure to test the pH and adjust accordingly. Calcium- Calcium deficiencies can be hard to diagnose. 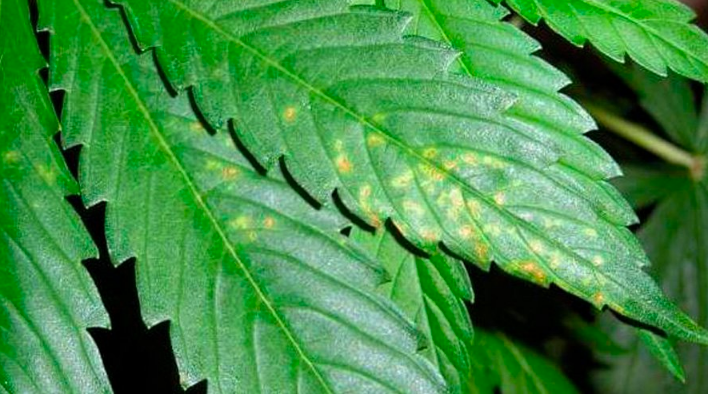 On the leaves, look for dead spots, crinkling, small brown spots, stunted growth, small or distorted leaves, curled tips, and dark green around the affected spots. Calcium, magnesium and iron deficiencies often appear together. The best way to restore is to flush your plants with clean pH neutral water, and then resupply the water nutrient solution. You can also supplement your nutrient-water solution with Cal-Mag to avoid calcium and magnesium deficiencies in the future. 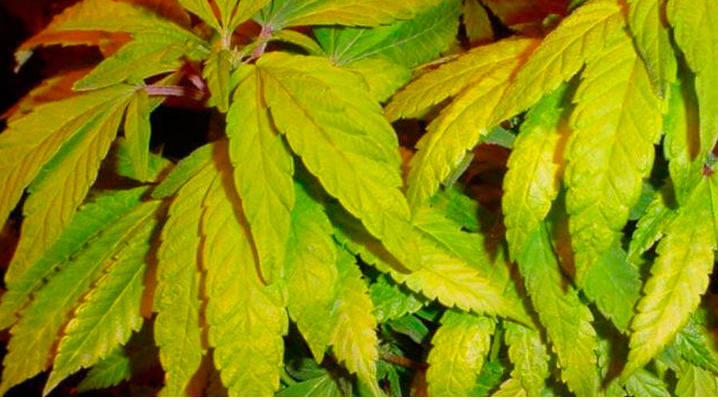 Iron- Iron deficiency can be identified when new leaves are completely yellow. 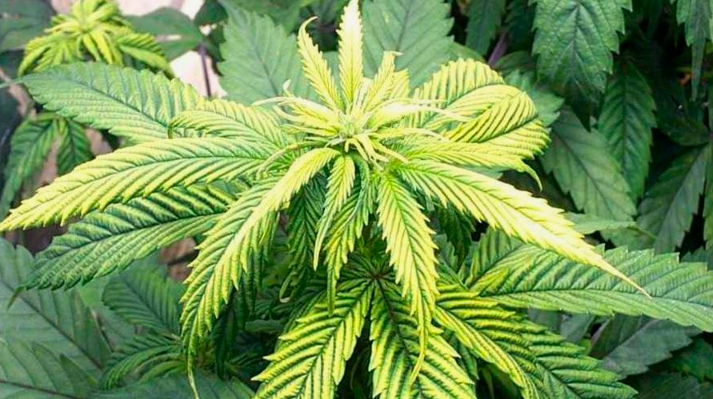 It is important to note that iron deficiency is similar to magnesium deficiency, however with an iron deficiency, the newest leaves will be yellow and clearly suffering. Iron doesn’t get absorbed into the plant when the pH level is too high (around 7). It is uncommon to see iron deficiency in a hydroponic set up. If you do come across this, you can flush your system with pH neutral water and adjust the pH to the right levels. 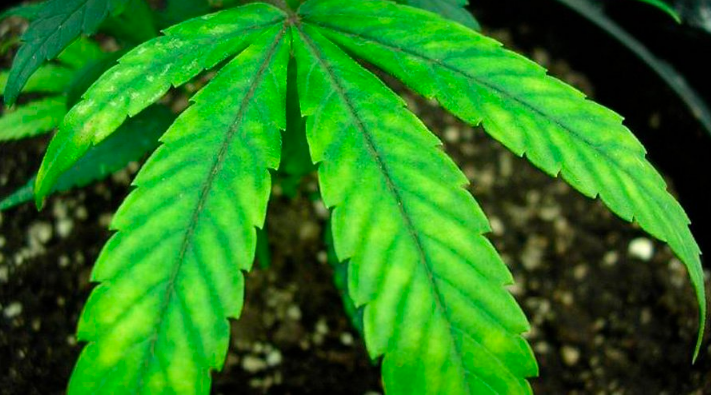 Magnesium- Magnesium deficiency will give the veins and outer edges of your plant a light green-yellow-ish color. Magnesium is a mobile nutrient, and can travel from old leaves to new ones. Unlike iron, magnesium deficiency happens when the pH level is too low. This is more common in hydro because the pH sweet spot is 5.5-5.8. Often the magnesium is present but the roots cannot absorb it, therefore adding a magnesium supplement won’t help your plants. The best way to get that magnesium absorbed is to increase the pH to about 6.0 until it is resolved, and then lower the pH to 5.5-5.8. 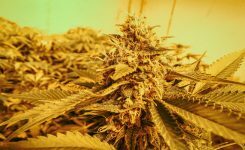 “The pH-levels of your nutrient-water solution play an important role in keeping your cannabis plant healthy. Nitrogen- Unlike iron, nitrogen deficiency will cause the older, lower leaves to turn yellow/brown, wilt away, and eventually die. Like magnesium, nitrogen is a mobile nutrient traveling from leaf to leaf. Nitrogen plays an important role in photosynthesis, which makes the plants green. The newer leaves will be green and full of nitrogen while the older leaves will turn yellow/brown, crinkle and die. 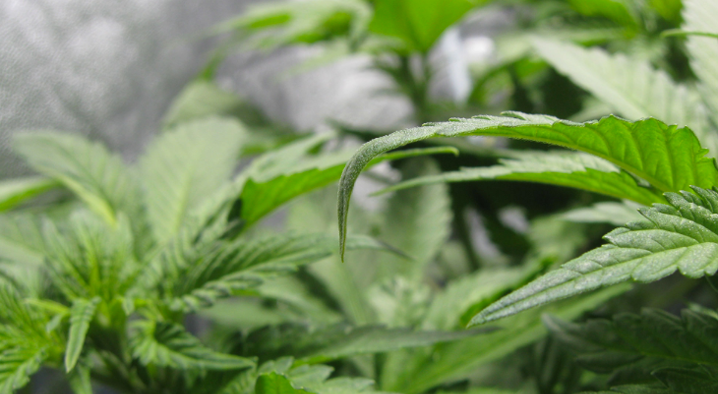 It is normal for your plant to lose nitrogen while in the flowering stage as the plant becomes deficient while producing buds. However, you don’t want a nitrogen deficiency in the vegetative stage! The best way to avoid this deficiency is to make sure the nutrients that you are feeding your plants have a high nitrogen level. 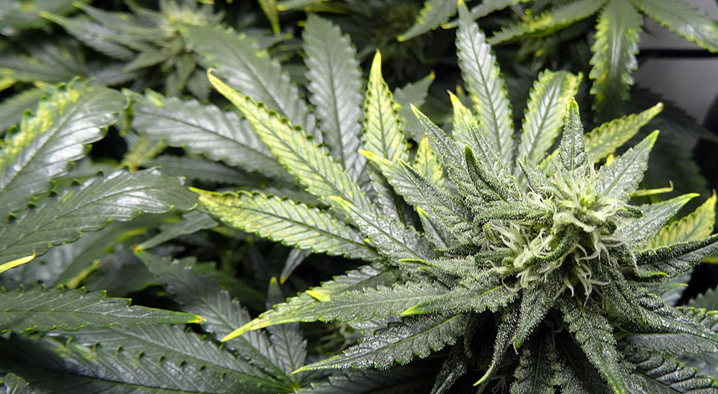 If the pH level is too low, your plant may not be absorbing the nitrogen. If you are using a high nitrogen nutrient solution, this is usually avoidable. Zinc- Zinc deficiency will cause the veins of your plants to turn yellow. The leaf tips will get discolored and start to die. Some zinc deficiency can be caused by plant shock or any stressful condition. Once that is over, the plant will usually bounce back. The reason zinc is not absorbed is because of incorrect pH levels; zinc gets locked out at a higher pH level. Nitrogen toxicity- Contrast to nitrogen deficiency, nitrogen toxicity happens when the plant absorbs too much nitrogen. Signs include dark green leaves, weak stems, and overall slow growth. Leaves can appear to form what is known as “The Claw,” which happens when all the leaves curl inward, making a talon-like shape, which will eventually turn yellow and die. Heat and pH fluctuation will make the claw spread. The majority of nitrogen problems happen when you give your plant too much of it. 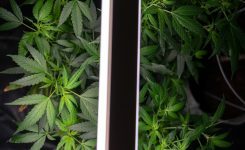 It’s pretty difficult to give your plants too much nitrogen, therefore paying attention to the amount that your nutrient-solutions contain is important. Nitrogen is really important in the vegetative stage, and less so in the flowering stage. Using a high nitrogen nutrient solution in the vegetative stage and then switching to a lower nitrogen level nutrient solution in the flowering stage will help regulate and maintain the proper nitrogen levels. Keeping your cannabis plant healthy requires specific attention to its environment and what you are feeding it, just like a mama birdie with her babies. 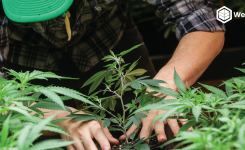 By paying close attention to your plant and actively taking care of it, your harvest will be worth the wait! 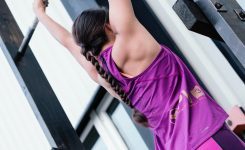 This is the only time of your life I’m going to say it’s okay to be a helicopter parent!